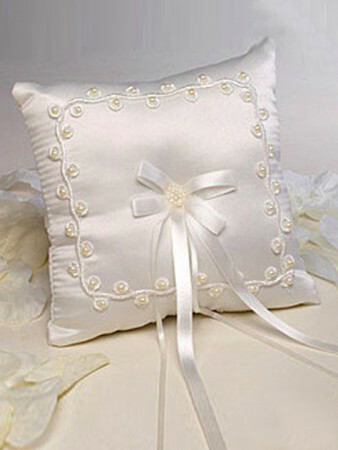 The embroidered pearly wedding ring pillow is perfect for a chic ceremony. Square and white, the pillow is decorated with pearls and embroidered along the entire perimeter. The ribbons in satin come out from the pretty central bow with which you can tie your wedding ring. Color: white.